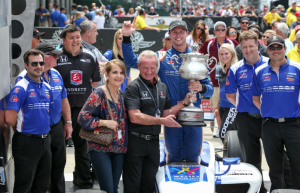 Mazda Freedom 100 Presented by Cooper Tires Indianapolis USA, 27th May 2016 Dean Stoneman produced a stunning performance to win the at the famous Indy oval full of drama, which will go into the history books as the closest victory of all time at the Speedway. Stoneman who won the Indianapolis Grand Prix a fortnight ago was eager add to his tally in front of over one hundred and fifty thousand enthusiastic race fans as part of the Indy 500 weekend. Starting from fifth for the rolling start, the number 27 Stellrecht Mazda looked racey and by lap two had made the move of the race going on the outside and taking two places up to 3rd. On lap 6 the safety car was deployed after a crash and Stoneman used this as an opportunity to move further up the places. As the safety car went in the 25 year old began his push and edged up to 2nd on the fast moving 2.5 mile oval. 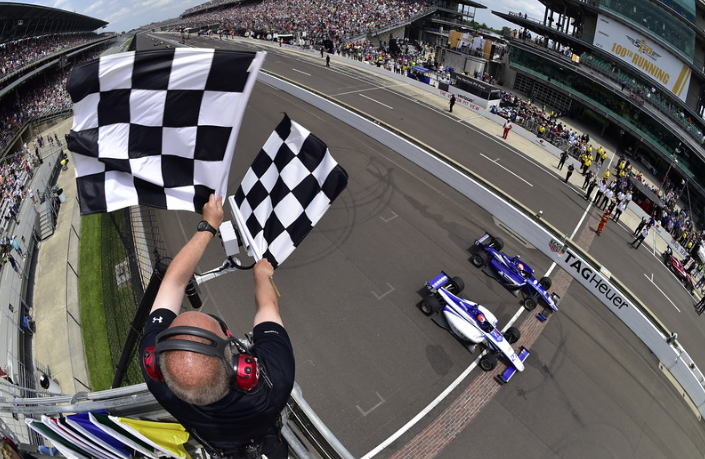 From here the Andretti driver was gunning for the lead and on lap 8 seized the opportunity and led the Freedom 100. For the remaining 32 laps, Stoneman was in a class of his own. He would come under pressure on a number of occasions, but managed to claw the lead back and take control at speeds in excess of 195 MPH. With one lap to go another incident lead to the safety car coming out teeing up a grandstand finish one lap to the finish. As the green flag was waved the second placed car of Ed Jones pulled alongside Stoneman, but the race leader was in no mood to let go of the win. As both cars pulled neck and neck it was a race to the finish with the large crowd cheering on. 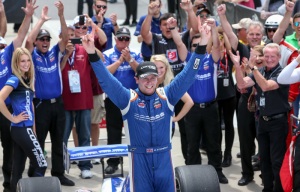 But ss the cars crossed the line side by side it was Stoneman who just sneaked it and took a popular win by just 0.0024 of a second, the closest margin of victory in the history of the Indianapolis Motor Speedway. 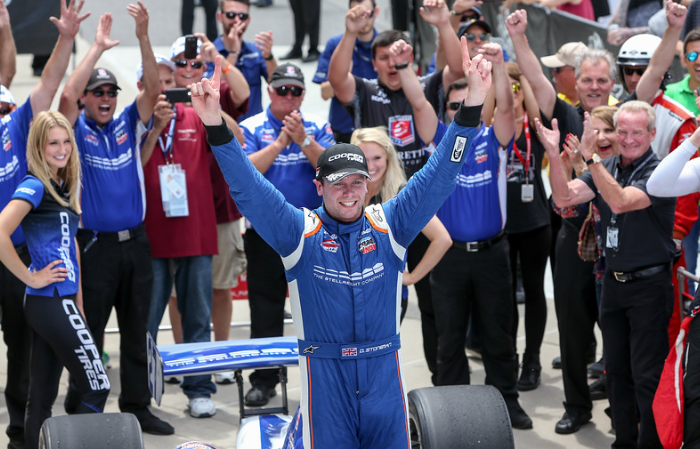 The result now moves him into 2nd in the Indy Lights series. Dean’s next race will be 24-26 June at Road America Wisconsin.